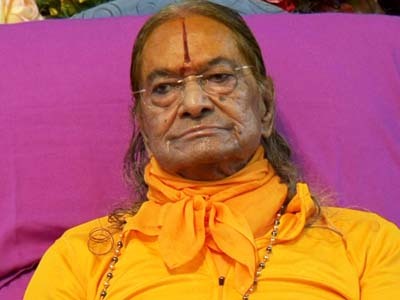 Maharaji asks if you have any pridefulness. How could you recognize this? A Saint will ask you, "How many tears have you shed?" "Tears? I haven’t shed any tears." "Then what did you do in the name of devotion? It amounts to nothing. Shed tears." God is pleased only with tears. No ability or power of yours will produce this effect. When Duhshasan was pulling Draupadi’s sari, she held it in her clenched teeth. Krishn was watching. "She is still applying her own strength." But Duhshasan had the strength of 10,000 elephants; what could a powerless person apply in the face of this? Her sari was pulled from her grip. Draupadi then closed her eyes and said, "Oh Krishn! Dwarikavasan!" Krishn performed a miracle and endlessly extended her sari. So don't go to God with your own strength. We don’t have any strength anyway. With what strength are you going to God? What strength do you have? Uncountable gods of wealth are His servants. How do you measure up to that? You might be a billionaire. What could be more than this? A wealthy person in this world can’t even buy a city. Just a city! So what is this pride of "I am so rich"? Kamdev is the most beautiful form in our world. If you were to see him you would immediately faint. You couldn’t tolerate the happiness. How do you measure up to that? Whenever you see your reflection of this useless human body you become absorbed. You don’t have anything. The intellect is even worse. You listen to the teachings of thousands of Saints and then you forget them all. So understand one thing about the world: no one can do anything for the happiness of another. No mother, father, husband, wife or child can do anything for the happiness of anyone. Everyone loves for their own happiness. Whatever things you want – whether it’s a nice house, a wife, children, this, that – why do you want them? For happiness. But when all these things are under maya, and happiness is not in the mayic realm, how will you get happiness from them? A blind person announces, "Oh anyone who is blind! Come here! Take my hand!" Another blind person hears this and thinks, "He definitely can see." So he takes his hand. This same kind of acting is happening in our world. We want happiness from our mother; our mother wants it from us. We want happiness from our children; our children want happiness from us. This is a bond of selfishness. As long as our self-interest is being served by that mother, father, wife, husband, and child, our love lasts. If our self-interest is being served less, our love reduces. If our self-interest is not being served at all, our love ends. This is a simple account of our selfishness.